HomedigestWill 2D tin be the next super material for chip interconnects? 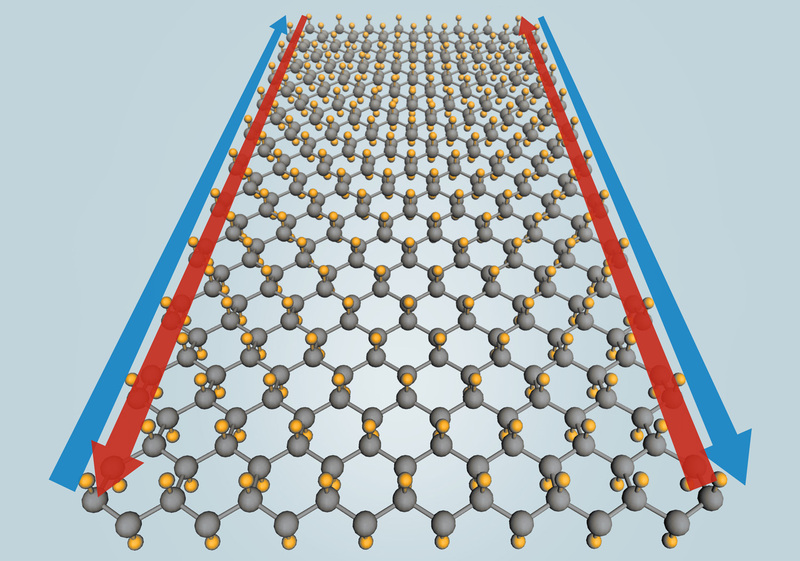 Move over, graphene. “Stanene” — a single layer of tin atoms — could be the world’s first material to conduct electricity with 100 percent efficiency at the temperatures that computer chips operate, according to a team of theoretical physicists led by researchers from the U.S. Department of Energy’s (DOE) SLAC National Accelerator Laboratory and Stanford University. 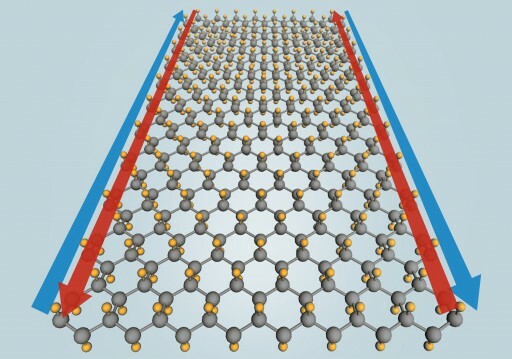 Stanene — the Latin name for tin (stannum) combined with the suffix used in graphene — could “increase the speed and lower the power needs of future generations of computer chips, if our prediction is confirmed by experiments that are underway in several laboratories around the world,” said team leader Shoucheng Zhang, a physics professor at Stanford and the Stanford Institute for Materials and Energy Sciences (SIMES), a joint institute with SLAC. Zhang said the first application for this stanene-fluorine combination could be for interconnects — wiring that connects the many sections of a microprocessor — allowing electrons to flow as freely as cars on a highway. Traffic congestion would still occur at on- and off-ramps made of conventional conductors, he said. But stanene wiring should significantly reduce the power consumption and heat production of microprocessors. “Eventually, we can imagine stanene being used for many more circuit structures, including replacing silicon in the hearts of transistors,” Zhang said. Additional contributors included researchers from Tsinghua University in Beijing and the Max Planck Institute for Chemical Physics of Solids in Dresden, Germany. The research was supported by the Mesodynamic Architectures program of the Defense Advanced Research Projects Agency. The search for large-gap quantum spin Hall (QSH) insulators and effective approaches to tune QSH states is important for both fundamental and practical interests. Based on first-principles calculations we find two-dimensional tin films are QSH insulators with sizable bulk gaps of 0.3 eV, sufficiently large for practical applications at room temperature. These QSH states can be effectively tuned by chemical functionalization and by external strain. The mechanism for the QSH effect in this system is band inversion at the Γ point, similar to the case of a HgTe quantum well. With surface doping of magnetic elements, the quantum anomalous Hall effect could also be realized.